Building a good, cheap drift car these days isn't quite as easy as it used to be. An ideal drift car is typically four things: Old, cheap, tunable for immense power, and (most critically) rear-wheel drive. That wasn't such a great feat in the 1990s, when there were many 10- to 15-year old cars capable of footing the bill. But here in the 2010s, things are a bit different. Now, buying a 10- to 15-year-old car now means buying a car from the 1990s or early 2000s--probably the single worst period for manual transmissions and rear-wheel-drive in American history. That makes pickings for decent drift cars pretty slim in 21st Century America. Basically, unless you want a truck, Mustang or Camaro, you're going to have to spend more for a newer car, sacrifice performance with an older one from the '90s, or get a really old car and put a ton of work into modifications. 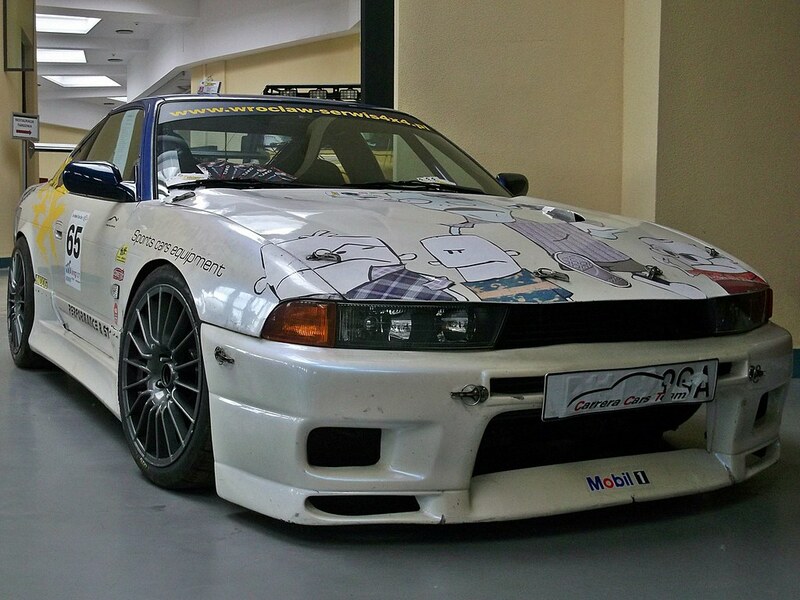 Obviously, none of this makes building an awesome drift car impossible. It just means that, unless you want a Camaro or Mustang, you'll have to be a little more creative and flexible in your approach. Think outside the box, and consider options that might seem a little weird or crazy at first. They say necessity is the mother of invention, and hardship the father of creativity. Sure, you're going to have to be very creative to build a good cheap car for drifting these days. But that just means you'll end up with something awesomely unique, and completely your own creation. Not exactly a bad thing, most would say. After all, the best cars for drifting usually have tons of quirks and eccentricities. Almost without dispute, the best cars for drifting on these shores aren't cars - they're compact pickup trucks. Pickups in general are practically perfect drift machines: rear-drive and extremely light in the rear, even a garden-variety pickup will powerslide when provoked. The only problem is that most are very big and heavy. But mini-trucks like old Chevy S-10s, Ford Rangers or even the Ranger's predecessor, the Courier; with as little as 300 horsepower or so, these things will get sideways and stay that way for quite some time. For cheap. Camaros and Firebirds aren't the best cars for drifting in many ways, not least of which being their relatively long wheelbase and greater weight compared to Fox-body Mustangs. But that's not entirely a bad thing if you're more into long powerslides than quick back-and-forth inertial maneuvers. Which isn't to say the F-Body can't swing; it's just not as light on its toes as the Fox-body. But it is cheap. Like, ridiculously cheap. And being later-model GM F-bodies, aftermarket and junkyard speed parts are practically falling out of the trees. If you're looking for cheap to buy and modify, late-model F-Bodies are your hot ticket. Oh, don't pretend you didn't see this one coming. You'll probably recognize this platform best as the one underpinning millions of Monte Carlos, El Caminos, Buick Regals and Buick Grand Nationals produced from 1978 to 1988. Olds and Pontiac had G-Bodies, too. But nobody cares about them. The funny thing about G-Body cars is that if you ask most kids who grew up in the '90s and 2000s, they seem like big cars. But they're not, really. A G-Body Regal coupe has about the same wheelbase as an E36 BMW 3-Series, it's narrower than a 3-Series, and at 3,250 pounds weigh barely as much as a new Honda Civic. Only the comparatively long front and rear overhangs make it look big. But in between lays a chassis that's just as capable of drifting and road racing as anything GM produced in the 21th century. Upgrade parts are cheap and plenty, the engine bay will take anything from a 500 c.i. Cadillac to a Turbo-Six Buick, and you can find G-bodies for next to nothing all over the place. Especially if you get one of those Olds or Pontiac cars. The Most '90s Cars The Top Cars For Teenagers The Ultimate Dream Garage A Random Collection of 30 Hilarious YouTube Comments The Best Cars for the Great Outdoors The Best Inexpensive Cars You'd Love to Own The Best Car Insurance Companies Which Fullmetal Alchemist Character Are You, Based On Your Zodiac Sign? All James Bond Cars The Ugliest Cars In The World The Worst Cars Ever Made 20 Insane Car Modification FAILs 34 People Who Need Their Licenses Revoked Right Now!